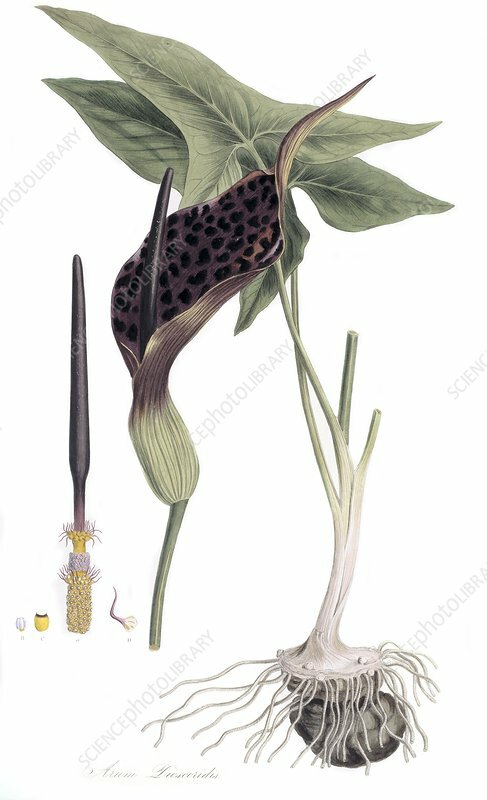 Arum dioscoridis, 19th-century botanical artwork. This engraving by George Sowerby is based on an original watercolour by Austrian botanical illustrator Ferdinand Bauer (1760-1826). It was published in the tenth volume (1840) of the 10-volume series 'Flora graeca', which described the plants of Greece. The descriptions and illustrations were by John Sibthorp and Bauer, but the later volumes were published posthumously.